Some of you may know that I founded Whistle & Drum, an small/niche online Irish musical instrument shop. For the past decade or so, we’ve been selling Christian’s drums – Irish drums or Bodhráns as they are properly called. (Pronounced like “Take a bow, Ron!”). I’ve had the distinct pleasure in witnessing Christian go from a great up-and-coming maker to one of the world’s leading makers or Irish drums today. 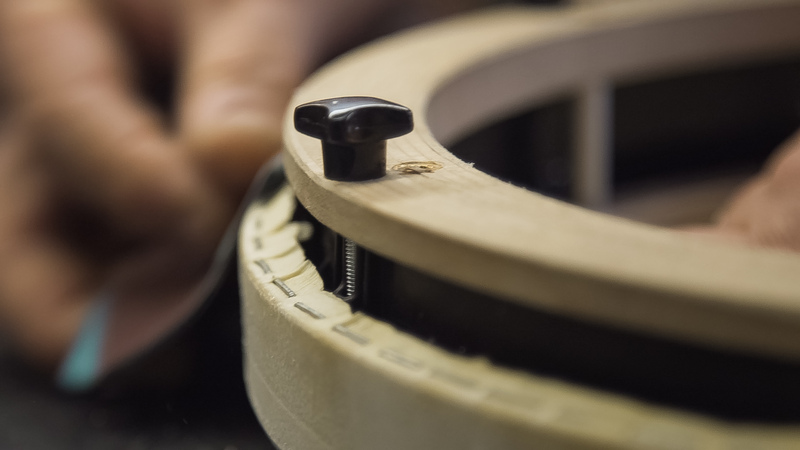 It dawned on me about a year ago that nobody had yet set out to tell Christian’s story through film – how a German cabinetmaker fell in love with Irish traditional music and wound up focusing his life’s work towards making these instruments. I pitched the idea of making a documentary to Christian and after finally getting our schedules to jive, headed out last September to begin filming. In looking for a good deal on plane tickets I discovered that Iceland Air was not only the cheapest but they also give the option of letting you book a stay over for up to 1 week in Iceland for no extra charge. I’ve long wanted to visit and film in Iceland so I booked a stay over on the return leg and also grabbed a ticket for my wife Deborah to join me. We ended up having a blast traveling around the southern half in a small camper van. More on that in another post shortly. One of the legs of my flight out there was delayed so I ended up getting into Munich quite late on a Monday night. Christian picked me up and we headed to a local McDonalds to get out late-night grub on and do some pre-production planning. Since I was only going to be filming through Saturday morning, we had a lot to do and cover. Afternoon: Interviews: Christian’s Mom & Christian (at Beech Forest). Late Morning: Family stroll to bakery. Was a great trip and I’m really looking forward to the edit. I’ll start in earnest late January / early February and push for a late spring release. It’s looking like the premiere may be in Brooklyn but we’ll see as things progress. So, this post serves as friendly intro to the project and as a way to include all of you who would love to hear Christian’s story thus far told through film. Feel free to join the discussion below and/or on The Drum Maker’s Facebook page here.